This heavy duty cover fits the Garmin GPSMAP 521, 551, 556, etc chartplotter head unit snugly, protects screen from getting scratched and guards against the harsh rays of the sun. Compatibility: Compatible with Garmin GPSMAP 520/520s, 521/521s, 525/525s, 526/526s, 530/530s, 531/531s, 535/535s, 536/536s, 540/540s, 541/541s, 545/545s, 550/550s, 551/551s, 546/546s, 556/556s. This heavy duty cover fits the Garmin GPSMAP 521/551/556 chartplotter head unit snugly, protects screen from getting scratched and guards against the harsh rays of the sun. If you'd like to add Garmin marine BlueCharts to your Garmin GPSMAP 521/551/556 device you can do just that by buying and loading Garmin BlueCharts. The charts come preloaded on microSD card together with a SD card adaptor. Simply insert the SD card into your Garmin GPSMAP 521, 551 or 556 and you are ready to sail, cruise, etc, with the latest nautical Garmin charts. What is the 5-inch protective cover compatible with? Garmin GPSMAP 520, 520s, 521, 521s, 525, 525s, 526, 526s, 530, 530s, 531, 531s, 535, 535s, 536, 536s, 540, 540s, 541, 541s, 545, 545s, 550, 550s, 551, 551s, 546, 546s, 556, 556s. 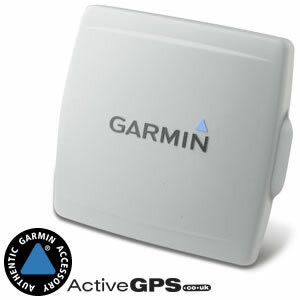 Was it another Garmin GPSMAP accessory, part or map update? If it was click the following links to find your models accessories or maps. Alternatively if you have a question about the 5-inch protective cover our contact page is the place to go to ask us a question.